Barcelona Clúster Nàutic has organized this week in Barcelona a training activity for the partners participating in the European project BLUES - Blue Growth connects European Seas, which is funded by the European Commission under the Erasmus+ program "KA2 Cooperation for innovation and the exchange of good practices - Strategic partnership for education and professional training". 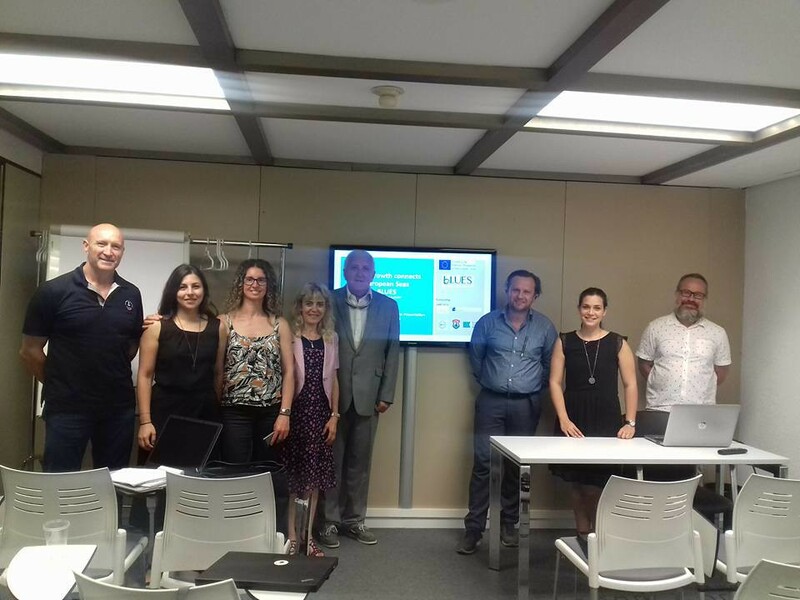 All the partners of the consortium responsible for carrying out this project have been in Barcelona. In addition to the Cluster Nautic, the meeting has been attended by the Municipality of Piraeus (Greece), Enoros Consulting Ltd. (Cyprus), Marine Cluster Bulgaria (Bulgaria) and Latvian Maritime Academy (Latvia). During the activity each organization has exposed the progress made in each of the training courses that are being prepared. In addition, Enoros Consulting has explained how the online portal -where the courses will be available for all- will work and has teach the rest of the consortium members about the process of uploading documents, validating participants and other technical details. On the last day of the meeting, there has been a study visit to the Faculty of Nautical Studies of Barcelona. This project aims to promote the development of blue economy in the partner countries, to strengthen cooperation between industry and education, to fill the skills gaps in this sector and to raise awareness of Blue Careers.